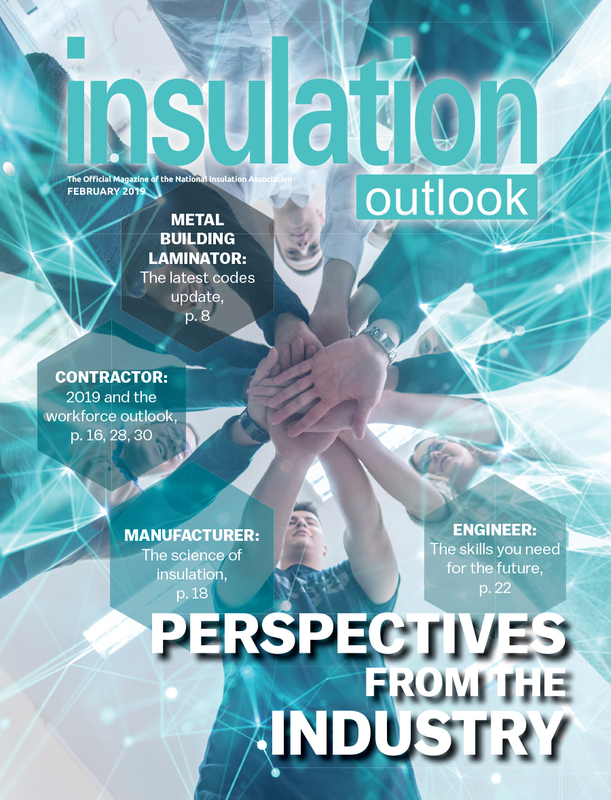 Insulation Outlook® magazine is mailed on the first of each month and articles are posted to our online archives about a month after publication. To receive the latest news, sign up for a free subscription. --Select Author-- AerotekHira S. AhluwaliaMarkku AllisonMichael AndrewGary AumanTimothy D. AylorGavin BadeKermit BakerPaul BalmertGeorge P. BarnettRoy BarthFrank BasesGary BasesVern BatdorfBill BealsMark R. Becker, Esq.Jack BittnerBill BlumbergLance BoninClay BoothRandy BosscawenTimothy BovardJay BowenBrian BradleySarah BrewerGeorge C. Briley, P.E.Nate BrinkBill BrockwayRaymond J. BrunoGareth BurtonMark BurtonKateri CallahanDon CasadaGreg CetonFletcher ChambersWilliam J. Coad, P.E.Ann CoganAngus E. CraneChris CrallChristopher P. CrallClayton CrownoverNick CunninghamDamien CusickElizabeth DaltonRobin DeGraffLaurie Dendwick-GordonJim DennisonPaul DesrochersAllen DickeyLewis DillMike DominguezAlfred C. DraperAl DraperPatrick J. Dunn, Sr.Bob DunleveyJames T. DurkinNick EatonLeslie S. EmeryThe Energy Information AdministrationRichard (Gene) E. Feigel, Ph.D.James FesmireSteve FisherTaylor FitzpatrickLeslie D. FrankThe Freedonia Group, IncCaitlyn FreitasIsaac Murry FunderburgBill FurseRandolph W. GerrishAedan GleesonAllan GoldsteinBhaskaran GopalakrishnanErin GreenDeepak GuptaBill HamiltonStephen HarrodFred HartGordon H. HartJeffrey HartKevin HedgersJerry HeidJ. Bruce HenleyAnn HenniganSabine HooverMalou HughesJoe HumphriesMike IrlbacherWinfield T. IrwinDavid JaberCarlton W. JacksonTed JonesMark JohnsonDave KahleJohn W. Kalis, Jr., P.E.Harry R. Keesing, C.S.P.Bruce and Amy KentMichael J. KingRonald L. KingJim KovarikKathy KristofJ. Brent KynochCarlo La PortaFran LawallKaren P. LayngMichael J. LettichChris LinvilleJoan LowyWilliam A. Lotz, P.E.Richard G. LubinskiRachel MadanCharles W. Mahan, Esq.Jim MarkhamAndrew MartinRoy MaurerEdward MazriaDale McGlothlinBill McHugh, CSIBill McHughLeslie McLarenJulie McLaughlinLaurence B. McNabbDavid MendesGrant MillerGregg MillerScott MillerMartha Gilchrist MooreJim MooreNorm MoriberMick MorrisseyJohn R. MumawDon NaideckRob NikolewskiThe Office of Industrial TechnologiesMaria T. O’BrienLuis F. OrdonezSteve OslicaKelly PaffelKartik PatelSonal PatelSonal PatelSonal PatelRobert W. PechacekRobert W PechacekEmily PeifferDarrell PeilAnthony PenalozaBradford Penney, JDMonty PhillipsAnthony PigginV. Scott PignoletKnox PitzerBill PlichtaKen PomperAndy PowellReid PughMel RascoKalli RasburyJeff RebholzMark ReedLaura ReinhardMike ResetarAlec J. RexroatShannon RhodesMary RiemenschneiderKara Saul RinaldiStephanie RitenbaughBill RoncaBill RoncaPaul RouthLouis RuguloChristopher RussellMichael P. SandersSam SchellRoger SchmidtJon SchreibfederJames C. ShriverKen SilversteinDave SkellyEd SoreRonald R. SpillmanJames Stahl, Jr.Stacy StryjewskiLinda SuzukiJeffrey M. SykenZach TanghettiDiane ThielfoldtWayne R. ThomannSteven Thorsell, L.A., CSIAlbert ThumannBarry ThrelkeldVestal Tutterow, P.E.Terry TysonDavid UitenbroekUtilis EnergyDr. Urbi van der VeldenDean E. Venturin, Ph.D.Neal WaaksBruce A. WallickGary WamsleyRichard A. Waugh, Ph.DCarl WeinschenkRobert W. WendoverGary WhittakerTom WhitakerMike WilkesKen WilsonUlf WolfKristin WolfeJim YoungDavid CohanSteve ChernackChris JohnsonTim KesselTodd HamiltonHal RobbinsMike McLainMarla McIntyreDoug FastJim RyanBernard MarksteinThomas P. GaleBrian MitchellBrian CahillDel KubeldisKimberly DarbyMarina KrakovskyDr. Mark SwiftChad RebholzBarry SchmittKerry EsmondBrian BannonAndrew MartinWillis (Bill) J. BraymanGordon VierckMark FefferJames MeierMike HillWilliam McCaffreyDouglas S. JenksShannon MenardMark E. BattersbyBryan RymerKevin SmithJeff WeissSarah HodgesBrian D. AveryJohn ShinasKelly AdighijeKatie Kuehner-HebertPeter MaloneyCalvin BraselJohn CaulfieldThomas MacKinnonBob BunnJenna HamiltonLaurie CowinDwayne SloanBen BidwellMeghan BrownJeff DeGraafRisa EdelsteinTom OlverKenneth M. Elovitz, PE, Esq. Value Engineering: What’s the Real Cost? Insulation For Plastic Piping: How Much is Needed? The July steam pipe explosion in New York City raises questions about the city’s underground infrastructure, asbestos in pipe insulation, and how to rebuild. 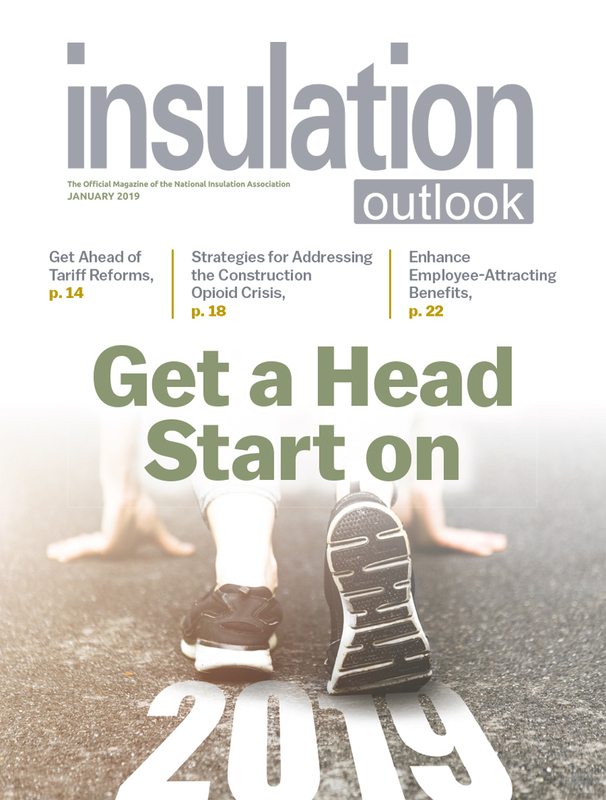 CASE STUDY: Insulation upgrades to the outside pipelines at NOCO Energy Corporation improve energy efficiency—and the company’s bottom line. 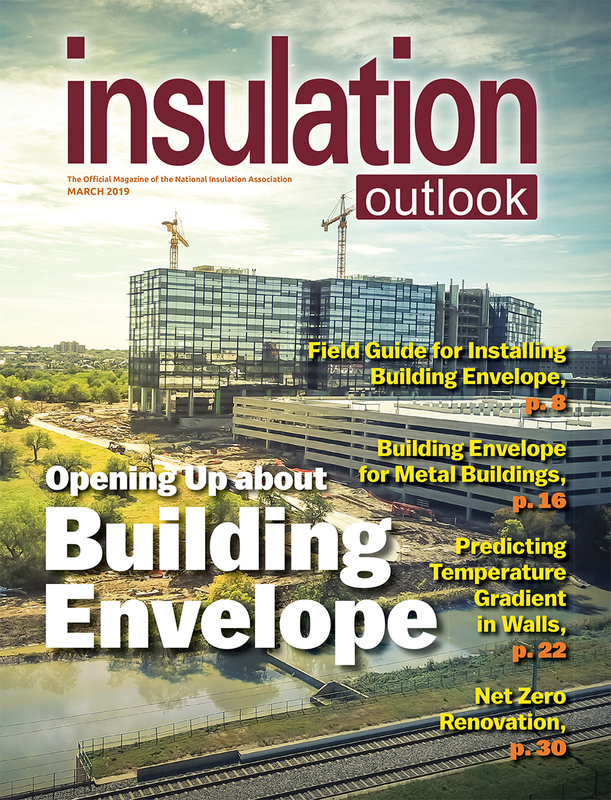 Thermal Insulating Coatings (TICs): How Effective Are They As Insulation? Is There a Cure for Corrosion Under Insulation? Mold: Harmless Old Neighbor, or Pesky Troublemaker?